Sacral nerve root block is indicated for lumbosacral radicular pain and perineal pain. The most common sacral nerve root block is the S1 root. The S3–S5 nerve root is blocked using a fluoroscopy-guided method. An ultrasound-guided method is useful for identifying (certain) posterior sacral foramina. 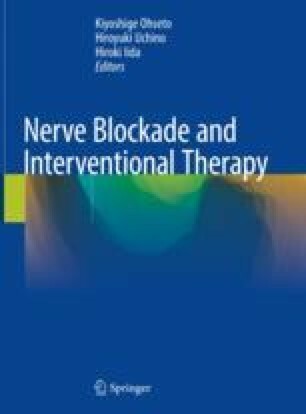 It can be easier and more reliable to combine the fluoroscopy- and ultrasound-guided methods for sacral nerve root block.